As a mom and dietitian, health is a very important topic in my life. I spend all day at my day job talking about health and nutrition. My other job, my blog, is mostly health related. And for fun, I read health and food magazines and blogs. My life revolves around health! My daughter is almost two years old and her health is super important to me. Luckily, she is a good eater and *knock on the wood* rarely gets sick. She was breastfed for the first 18 months of her life which I think helps contribute to her staying healthy. Since she started eating solids, I try to give her healthy foods in order to help keep her immune system strong. Adalyn recently started loving smoothies. How I got her to love them is by having her help me make them. First, we go to our backyard and pick the spinach leaves together. Then, I have her put the banana, spinach and milk in the blender. I add other nutrient rich foods such as ground flax, chia seeds or nut butter as well. She doesn't like to push the button to start the blender because she is scared but likes watching it get blended up. By helping make the smoothie, she has started to enjoy drinking them much more. 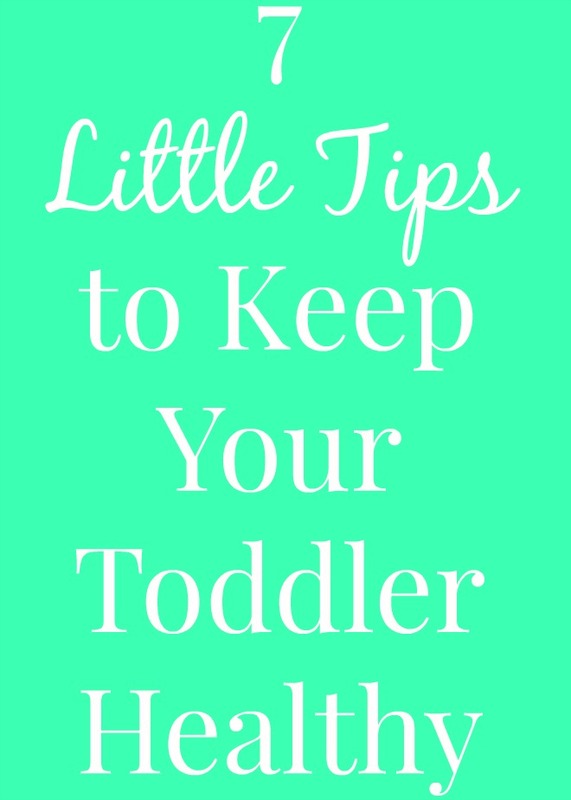 This one is easy because toddlers love to run around and be active. Troy is off of work for the summer and takes Adalyn to our local playground for about an hour each day to play. This way, she get burn off some of her energy and stays active. In the afternoon, we love to jump together (Adalyn tells me when to jump and we jump up and down at the same time), race down the sidewalk and go to the pool. When the weather is nice, it is very easy to be active. I think that physical activity is so important for kids! It is so easy to give toddlers easy snacks such as cereal or crackers but they often are not very nutrient-rich. We try to vary our snack options and lately, Adalyn has been loving veggies as a snack. She loves rainbow baby carrots and mini bell peppers especially. She has always loved fruit and will eat any kind. We give Adalyn juice maybe 1-2 times a week, max. When we do, it is about 80% water and just a little juice. She is not the best at drinking a lot of water and often just has a sip here and there. When she does that, we add a little juice to her water, especially on a hot day, to encourage her to drink more. Besides milk, I do not think that kids need many other beverages other than water. Keeping toddlers hydrated is so important and water is the best choice. Adalyn and I picking cherries together on vacation in Traverse City! When Adalyn sees Mom eating a big pile of kale for dinner, she wants to do the same. When I bring out the ice cream, Adalyn wants to eat that too. Since she is constantly learning from us, I try to make healthy decisions so that she will do the same when she is able to make her own decisions. Kids truly learn from their parents so I try to be the best role model that I can be to Adalyn. We eat the same thing for breakfast, lunch and dinner which I think is important. When we go to parties, Adalyn gets to try everything that is being offered. No plain pasta and crackers only for her. Troy's family is Mexican and Adalyn loves guacamole, salsa, tacos, barbacoa and more at family get-togethers. Calcium is important for bone growth and development for kids. 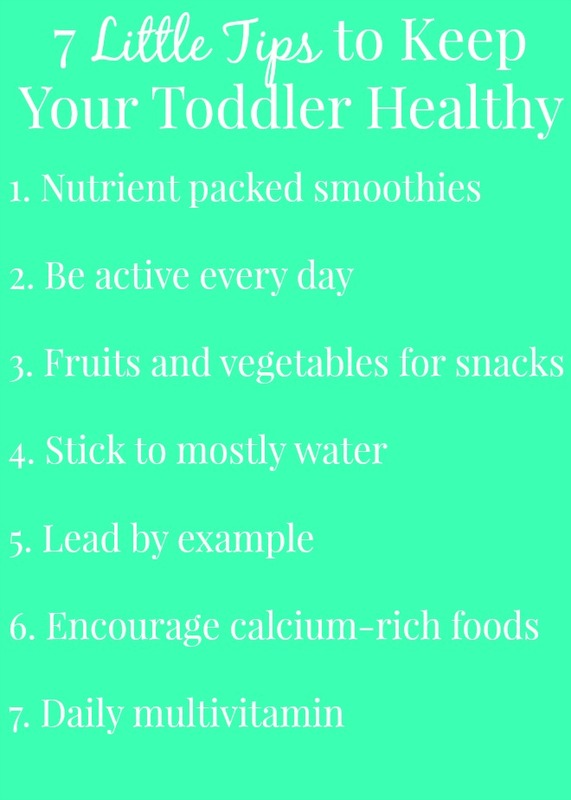 Adalyn often struggles with drinking milk which is a work-in-progress so we give her other foods high in calcium such as yogurt and cheese. She loves yogurt so much and would eat that all day long if we let her. I add milk to smoothies and other cooked dishes to make sure that she gets enough calcium in her diet. This one is pretty new to us and is a healthy habit that Adalyn loves! We got these Zarbee's Naturals Vitamins which are now sold at Walmart in the toddler variety and Adalyn loves being able to eat a gummy and I know that she is getting the nutrients that her little body needs. Though her diet is good, I like knowing that in case she is not getting enough of a certain nutrient, she can get it through her vitamin. These are sweetened with honey, come in natural fruit flavors and the colors are from natural sources. The toddler variety is for ages 2+ and the children's in 4+. They have 11 essential vitamins and are made with fruit pectin. Zarbee's is offering a $5.00 off coupon to use for a limited time on their kids vitamins at Walmart.